SBI Life Insurance launches ‘Thanks A Dot’, an innovative breast cancer awareness initiative that is supported by the Women’s Cancer Initiative – Tata Memorial Hospital. The programme intends to empower women of India by educating them about early lump detection through simple self-examination techniques. An easy-to-use self-training module to detect the early signs of lump formation can be ordered free of cost through SBI Life’s corporate website. 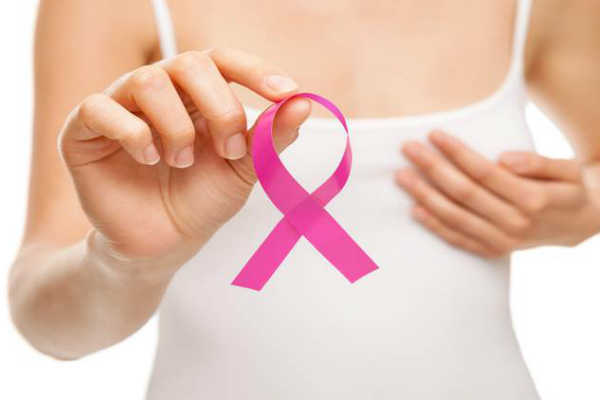 According to the Union Health Ministry, breast cancer ranks as the number one cancer disease among Indian females. Around 20 per cent of breast cancers are detected by physical examination but unfortunately, only 38 per cent of women regularly undergo self-breast examination. Further, studies indicate that 1 in 28 women are likely to develop breast cancer during her lifetime making it even more essential for women to self-examine. While treatment costs can range between Rs 2.5 lakh to Rs 20 lakh, there is an alarming need for financial preparedness for the treatment, if diagnosed. ‘Thanks A Dot’ self-detection tool has been designed using real breast cancer mammograms to re-create breast cancer lumps using a special algorithm and 3D printing. The breast cancer lump shapes are put on a learning card in the form of a language inspired by Braille. Users solve puzzles and quizzes using the special language (present on the learning card), thus capturing a positive feeling of carrying out early detection examination and promoting regular self-checks. ‘Thanks A Dot’ helps improve tactile (touch) capacity in women to detect early signs of lump formation. “As a responsible life insurer, we believe that we have an important role to play in educating and empowering women by increasing awareness about breast cancer and its financial implications. We hope that ‘Thanks A Dot’ can make a meaningful difference by helping women in being prepared for the uncertainties of life,” Sharma added. SBI Life has leveraged multiple digital platforms to launch the ‘Thanks a Dot’ awareness initiative; the campaign has rolled out with the launch of a video that highlights the significance of the power of touch and showcases the benefits of self-breast examination through this tool. The video urges every woman to take a step further and inculcate a habit of self-breast examination regularly and confidently. The first phase of the initiative kick-started on International Women’s Day, featuring the ‘Real Life Real Story’ video of Sujaya Walia, a breast cancer survivor and activist. In the video, Walia is seen talking about her journey fighting cancer, how family and financial preparedness holds key and urges more women to come forward and discuss such issues openly.